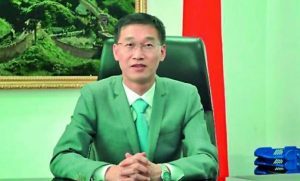 QUETTA: Chinese Ambassador Yao Jing on Wednesday said that China Pakistan Economic Corridor (CPEC) was a joint venture and Balochistan in this region is a connecting gateway for countries seeking to develop more collaborative bilateral ties. A high level Chinese delegation under the leadership of Chinese Ambassador Yao Jing, visited University of Balochistan (UoB) and met Vice Chancellor Dr. Javed Iqbal. Registrar, Faculty members and Senior Teachers, were also present on this occasion. The delegation was apprised about ongoing and future educational and research innovative programs of the university. Vice Chancellor Dr Javed Iqbal said that UoB is considered as a primordial educational institution of Balochistan province and has always maintained good relations with national and international educational institutions and research centres. Vice Chancellor Dr Javed Iqbal said that University was taking concrete measures for provision of higher education in Balochistan and in this regard many news campuses had been established in different districts. The VC said that university of Balochistan had launched various student exchange programs in collaboration with Chinese educational institutions for educational uplift of Baloch youth. Chinese delegates discussed various issues including the promotion of local languages and cultural exchange programs. Chinese ambassador applauded the efforts made by University of Balochistan for the advancement of scientific research, innovation and technical training education in the province. The Chinese ambassador said that Pakistan and China had always maintained friendly ties, they were working jointly on various projects for socio-economic uplift of their citizens. He said that CPEC was a giant project, with its completion a new era of economic and business development would start. The Chinese ambassador also announced different scholarship programs for students of Balochistan especially in the field of finance, business management and marketing analysis.